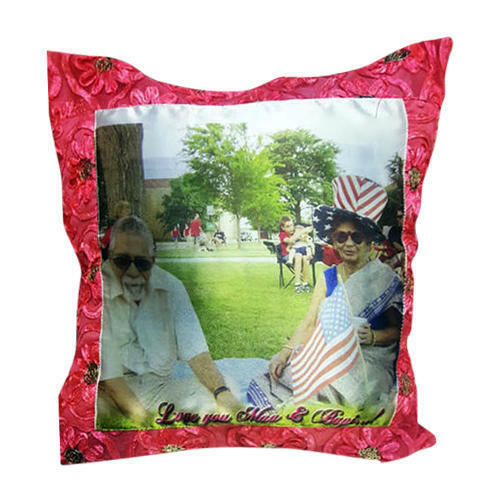 To satisfy the segregated demands and desires of our honored clients, we are engrossed in providing highly reliable Sublimation Cushion Printing Service. This provided service is imparted at par with the changed demands of our patrons. Due to flexibility and reliability, this service is immensely acclaimed. As well, our vast expertise in this arena has enabled us to provide this extensive service at budget-friendly prices. We are counted amongst the known Manufacturer of Crystal, Wooden, Metal & Acrylic Engraving, Acrylic Gift. We are also providing Printing Services on various products like Mug, Tiles, Photo Frames, Key Chain, etc.